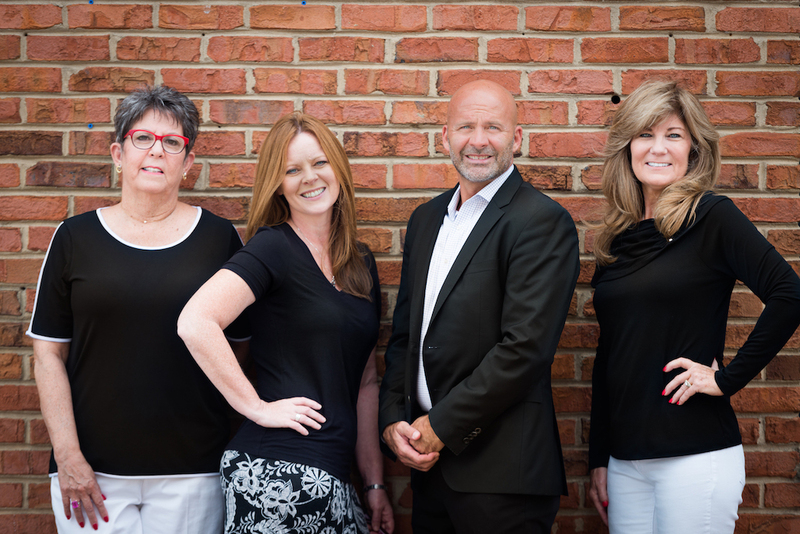 At Premier Atlanta Real Estate, we believe the best approach to selling a home is to ensure that you have a team of specialized professionals handle each aspect of the process beginning with our first appointment all the way through the closing and beyond. The team centered approach allows our real estate agents to spend their time focusing on marketing your home to greatest number of potential buyers by giving them the time needed to market your home instead of handling paperwork, photography, creating marketing materials, installing signs and other tasks better performed by professionals who specialize in those processes. The presentation of your home to buyers is a core focus in getting your home sold for the most money. The presentation of your home begins as buyers drive up to your home and they assess their first impression before they even enter the house! The layout, decor, colors, materials used and cleanliness all influence the price you will receive when your home closes. Our stagers will ensure that your home is in line with the ever-changing current styles and trends. They can bring in pieces to compliment your rooms or suggest paint schemes that will help show off your spaces the way buyers want to see them. Nothing is more important in marketing your home than the way it is presented online. Only professional photography can capture your home the way it needs to look. We will provide you and your home with beautiful, professional photos that showcase the best qualities of your home. The Internet is where home buyers are today. How your agent markets your home online will be the greatest factor they have in getting your home seen by the largest number of potential buyers and ultimately procuring a buyer for you. Consumers search on numerous different websites and social media to look for homes. Some use mobile apps. Some use websites like Zillow, Trulia and Realtor.com. Others prefer to find homes themselves by searching local real estate agent websites and others don't use these websites at all and rely on social media to find not only their agent but the homes they want to view. You need an agent you can market your home to all the right channels. This is the best chance of procuring a buyer. We have you covered. Nobody can get your home seen on these three websites the way Premier Atlanta Real Estate can do it. Our marketing package is tailored to ensure your home will be found on all the websites consumers search. Facebook is one of the best places for agents to market homes for sale. You need an agent you can get your home in front of all the buyers who may be looking for a home like yours on Facebook. It's one of the most important media channels available and we can customize your marketing to show to the demographics most likely to be looking for a home like yours. Traditional marketing still works! Great looking signs, reverse prospecting agents we know have buyers for homes like yours and email marketing to agents directly still bring buyers to your home. You need an agent who is skilled at marketing your home with technology and also understands the importance and effectiveness of traditional marketing methods. There is not one best marketing tool. You need all of the tools. We already have a large database of buyers looking for homes. We make sure to directly market your home to our buyers who may want your home. The right original list price will sell your home for the most money. The market changes continually and the factors that influence the price of your home are numerous. In today's market, homes that are marketed properly and are priced correctly often receive multiple offers. Knowing how to position your home in these stressful situations through careful negotiating strategies can net you more money for your home and not increase your level of stress. Your agent should know when to use the highest and best notice and how to handle a buyer who uses an escalation clause. It's times like these you will be thankful you hired an agent from Premier Atlanta Real Estate to see your home! I've bought and sold several houses in three states, and I can say unequivocally that Connie is more knowledgeable than any other realtor I have encountered. She understands the market, she has facts and figures at the ready, she attends promptly to every detail, she listens to what her clients want, and she is a strong negotiator. Connie is a consummate professional. And besides all that, I enjoyed spending time with her - she is a delight. I cannot recommend her highly enough. I can't say enough wonderful things about Ryan Ward! I have probably been one of his most challenging clients yet (sorry, Ryan! ), but he has handled it with the necessary perseverance and consistent follow-ups needed to make him a truly talented professional. I would highly recommend Ryan and Premier Atlanta Realty to anyone looking for an excellent home buying or selling experience! I can't thank them enough! Ryan Ward is the best agent I have worked with over the last decade on the buy or sell side. I have not been able to find anyone more intelligent, savvy, and with the work ethic to match. He understands the market as good as anyone, is patient, and works on behalf of his client. What else more is there to say? Give him the opportunity to represent and help you find or sell a home and these attributes will be apparent immediately. Marketing real estate to today's buyers requires that your agent provide your home with the strongest presence on the internet, professional photography, someone who is well versed in traditional marketing and someone who fully appreciates and understands the real estate market. The decision to partner with us guarantees that you have a trusted team of full time and full-service real estate professionals working for you that meet those requirements. Call us at 770-604-1860. There is no obligation, of course!